Another testing par three demanding accuracy from the tee. 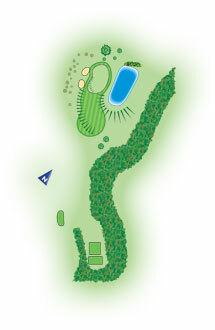 The land slopes down from the left and there is a lake running along the right side of the green. There are two bunkers to the left of the green.